April 22 is Earth Day. If you’re looking for ways to do something to commemorate the day, here are a few suggestions for Earth Day activities that complement your DISC personality type. As someone with a D personality, you like taking action and seeing results. What better way to celebrate Earth Day than with the planting of a tree? It’s a simple, straightforward approach that directly contributes to the reduction of greenhouse gasses. Planting a tree will let you see the results of your efforts right away—It’s a great way for D personality types to showcase their natural ability to enact change in a hands-on way. You can either plant a tree in your own backyard or check locally for one of the many tree planting events held on Earth Day. Of course, while people with D personalities aren’t afraid of hard work and typically don’t mind getting their hands dirty, it’s not always easy to find the time to get out and plant a tree. Fortunately, D personalities are also excellent at delegating tasks when necessary. Donating to a program that will take care of the planting for you is also a great option. The Canopy Project, for example, will plant one tree for every $1 you donate to the cause. That’s an excellent return on your investment and a simple, effective, straightforward way to contribute to the cause. I personality types are social and outgoing. They’re totally in their element when they’re meeting new people, and they love a good party. 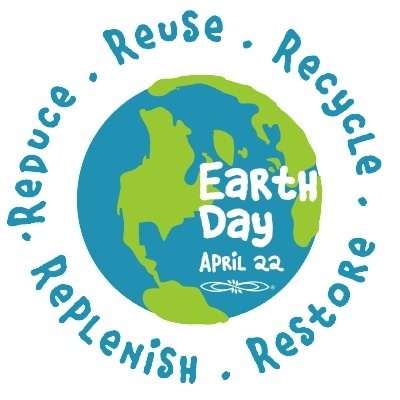 Why not put your natural social skills to use by attending a local Earth Day event or benefit? That way you can do something good for the Earth while having some fun, too. There are quite a few Earth Day events going on in the near future. Fundraisers, live music events, and parties are scheduled to take place all across the country. Check your local listings for details or hop on the internet and look at the offerings listed on the EPA and Earth Day websites or just do a simple internet search for “Earth Day” + the name of your city. S personality types appreciate the value of community, have a strong social conscience, and tend to really enjoy activities where the whole family can be included. This Earth Day we suggest starting a family tradition that you can repeat every year. Gather the family together to give back to the community on a local scale by finding a favorite natural area and doing a litter cleanup. This can be an annual tradition that you can enjoy with family and friends and will help you feel more connected to nature by preserving the trails, parks, and open spaces for future generations. C personalities like to research and strategize and love to learn all they can about a subject before they take action. For C personalities, Earth Day is the perfect time to watch an environmental documentary. There are quite a few fantastic documentaries that have come out in the past few years. For example, Chasing Ice presents an up-close investigation of the diminishing polar ice caps. The docu-series Years of Living Dangerously features celebrities like Arnold Schwarzenegger, Matt Damon, Jessica Alba, and Harrison Ford, who travel to different parts of the world to highlight the effects of climate change. Trashed discusses the growing problem of global waste, and Gaslands covers the environmental concerns about fracking. Of course, if documentaries aren’t your thing, you could always crunch the numbers and do a home energy audit. Or tap into your practical side by taking steps to ensure energy efficiency in your home, like sealing windows and unplugging appliances. Either one of these activities helps C personalities take a scientific and methodical approach to helping the earth on a personal scale. Hopefully, this has sparked a few ideas. 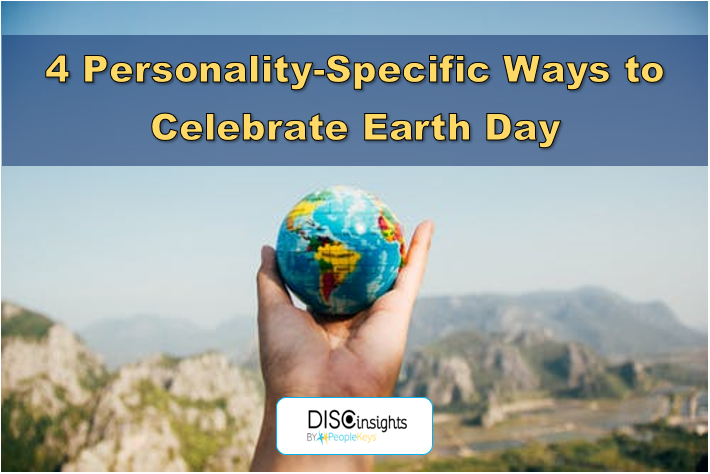 If you’re interested in finding an Earth Day activity that suits your personality but don’t know your DISC personality type, check out our free DISC personality test.